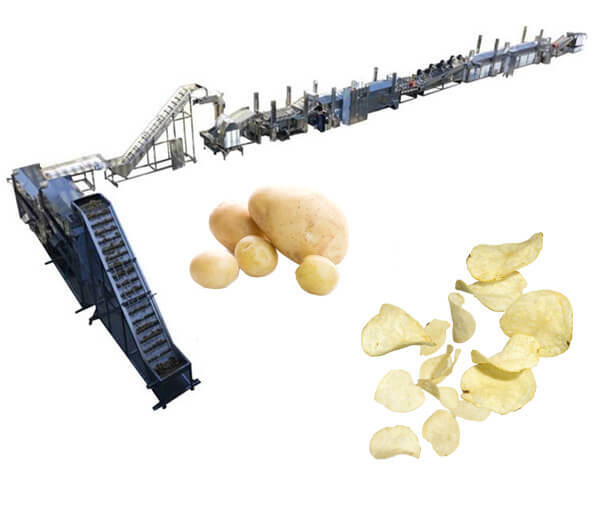 Semi-automatic Potato Chips Production Line supply the professional production unit of potato chips. 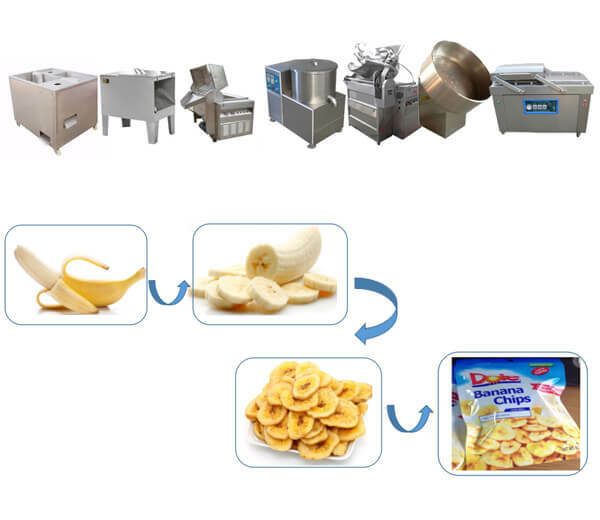 We supply potato chips production plant of 30kg/h, 60kg/h, and 150kg/h. Our semi-automatic plants consist of 8 independent machines with the capacity of 30kg/h, 60kg/h, and 150kg/h. 1. 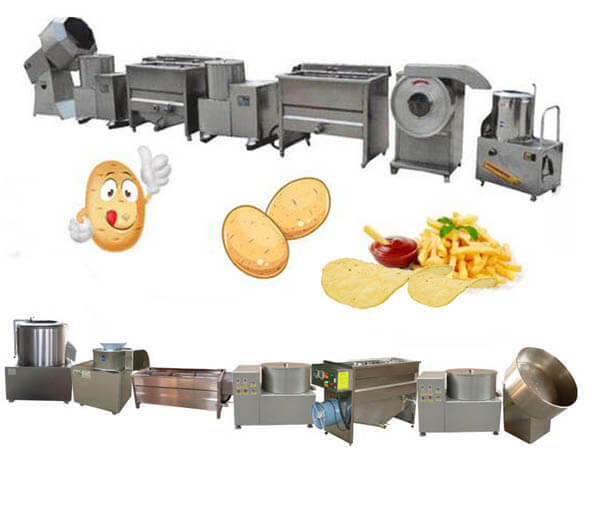 Potato washing & peeling machine: this machine is used for cleaning and peeling potato, no damage to potatoes, high automatic degree. 2. 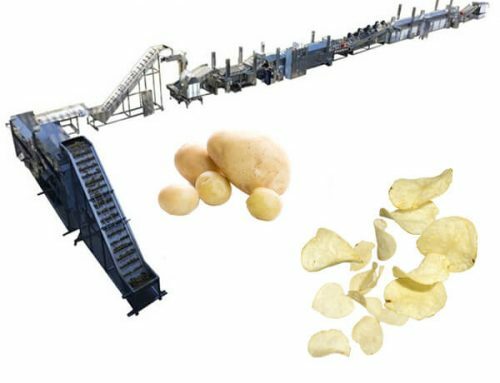 Potato chips machine: this machine is mainly used for cutting the potato into slices or strips automatically and uniformly. 3. 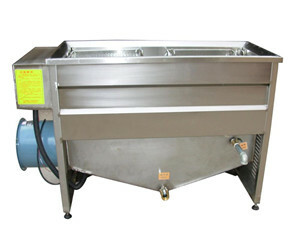 Blanching machine: mainly used for the blanching and sterilizing of potato slices/strips. 4. 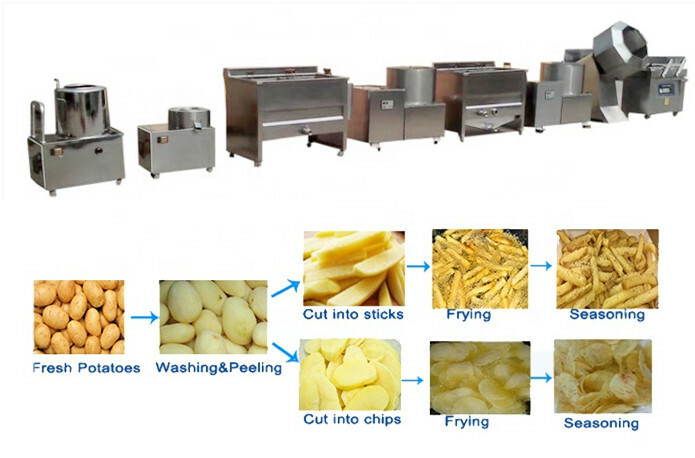 Dehydration machine: remove the extra water of potato slices/strips, easy for frying process. 5. 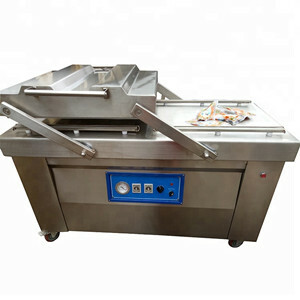 Frying machine: our frying machine has 2 methods of heating: heated by electric and heated by coal. 6. 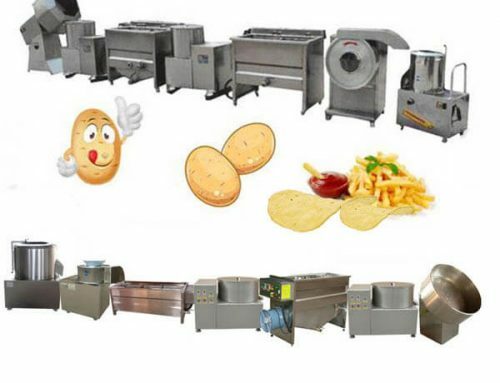 De-oiling machine: deoiling fried chips to improve the quality and color so that the fried potatoes more crisp and delicious; also can lower the business cost of fried food manufacturers and extend the quality guarantee period. 7. 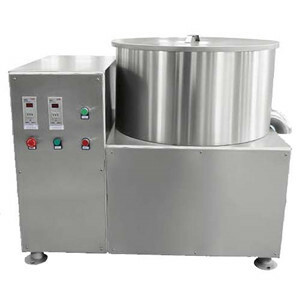 Seasoning machine: add flavor to fried potato chips; there are three types: disc type flavoring machine, octagonal type flavoring machine and drum type seasoning machine. 8. 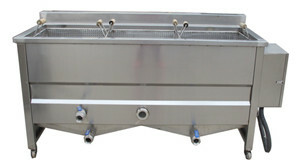 Nitrogen filled packaging machine: Nitrogen filled packaging machine is ready here to ensure the high efficient packing. 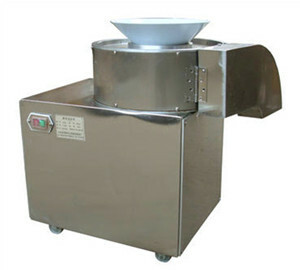 Because fried potato chips are fragile, the nitrogen is necessary to keep food fresh, tasty and without damage. 1. 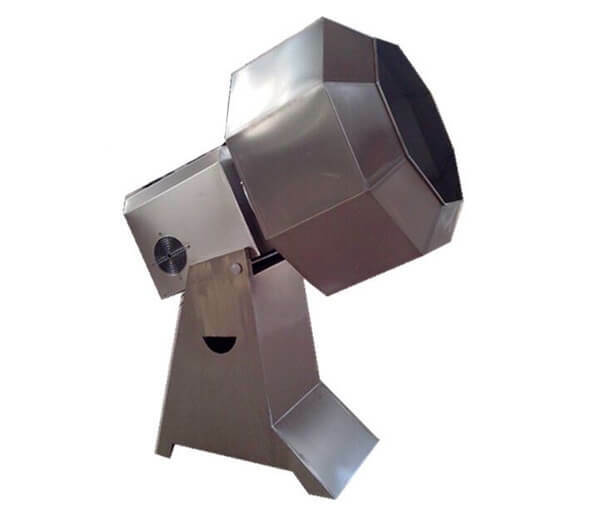 Every machine is made of high-quality stainless steel, up to health standard, easy to clean. 2. High work efficiency, save labor and energy. 3. 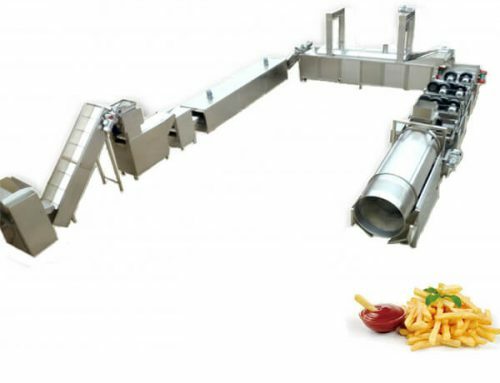 Low oil consumption, high degree automation, create more benefits. 4. 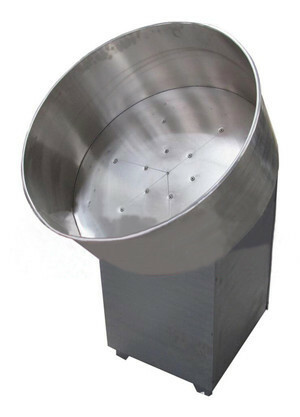 We can customize any specification machinery according to customers’ requirement. 5. Advanced technology, long life service. 6. 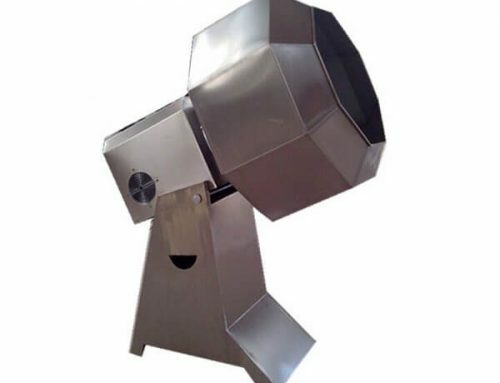 Economical and practical, superior quality and competitive price. 1. Semi-automatic Potato Chips Production Line is used for making potato chips and French fries professionally. 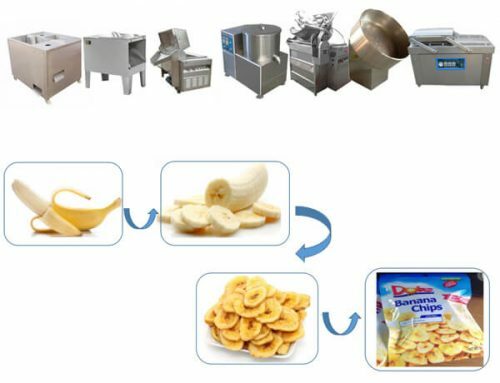 Because the potato chips and French fries is a kind of popular snack in the world, the potato chips production is necessary. 2. 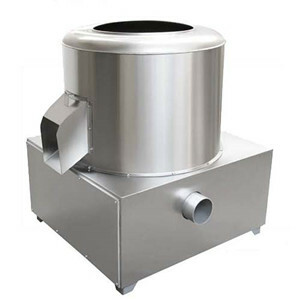 Indispensable in the leisure food industry, restaurant, and so on. 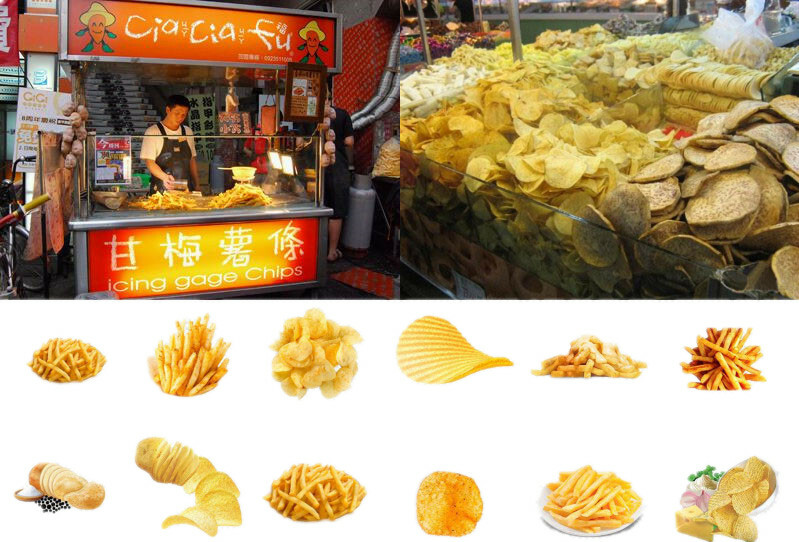 ☆ Provide customers with formula( free of charge) for making crispy potato chips with a golden color. ☆ Specialized personnel offers a professional training class for operators. ☆ The machine operating video and instruction book is available.